While the southern region has great potential for both land-based and offshore wind, transmission provides an opportunity to bring wind power to energy users by wire. States across the Midwest have abundant wind energy resources, but are often located in remote areas with a low energy demand. 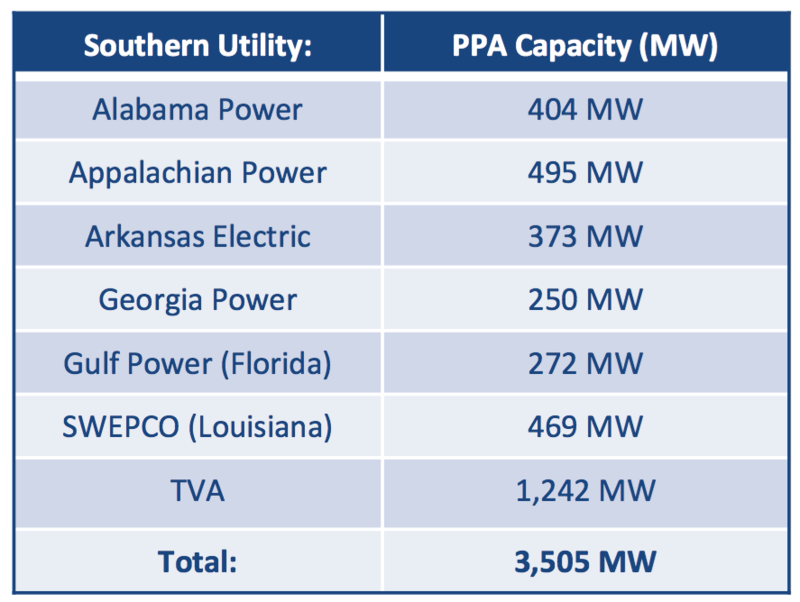 As the South continues to retire coal-fired power plants and energy consumption increases, the demand for clean and low cost energy increases. As a solution, wind farms in the plains can be connected to the transmission grid and deliver energy to homes, businesses, and institutions throughout the south. While challenges remain in the transmission process, purchased wind electricity has the potential to boost local economies and bring more renewable energy to the southern region at a cost-effective and reliable price. 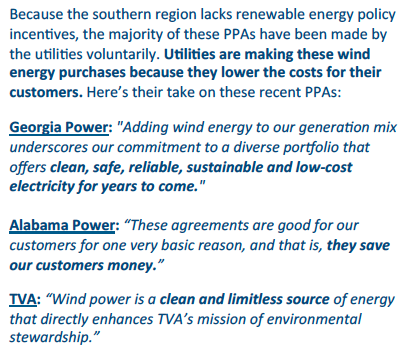 To view the entire SWEA Fact Sheet, "Gigawatts of Wind Energy Flowing into the South," click here.